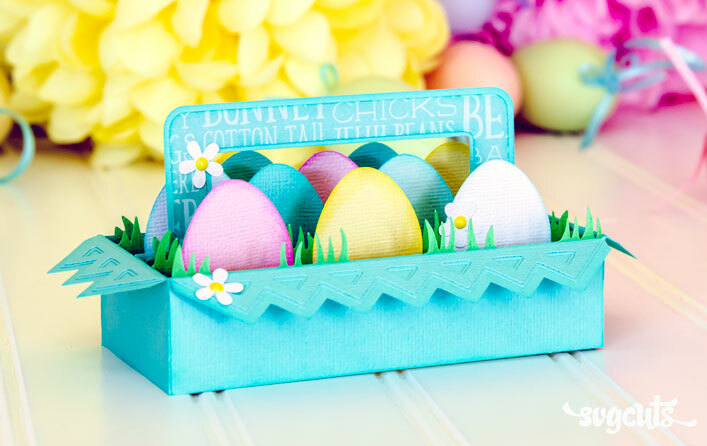 Create lovely home decor items and gifts to thank someone special or display! The Floral Topiary is quite the show-piece and will get plenty of comments and compliments when people find out you made it yourself out of paper and a few craft supplies! 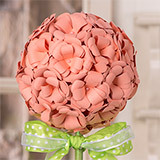 It's covered in over 32 3D paper flowers and uses a simple styrofoam ball, dowel and florist's foam. 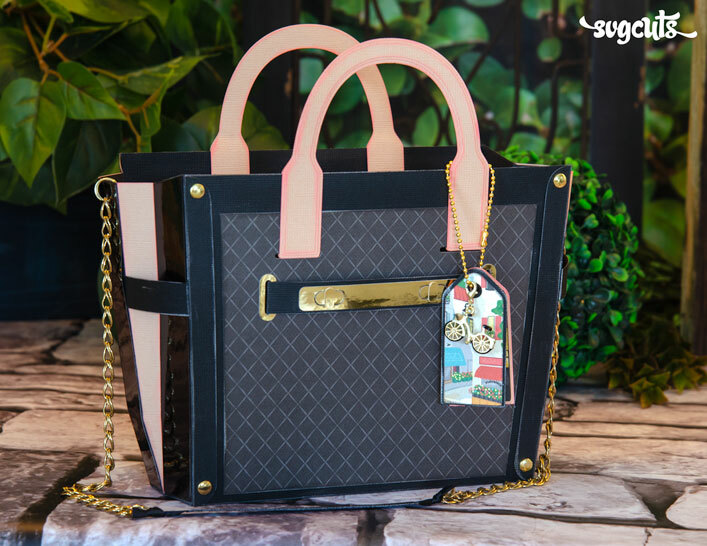 Create it in any colors for a look all your own! 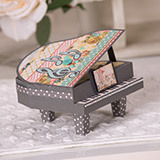 The Grand Piano Box is surprisingly easy to create and would make a sweet gift for your music lover or teacher. The Dimensional Tag functions like a regular tag, but is thick for a new twist on an old favorite. 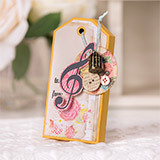 The Treble Clef Card features a gorgeous, intricate doily design and can be stamped on using any sentiment or left blank. 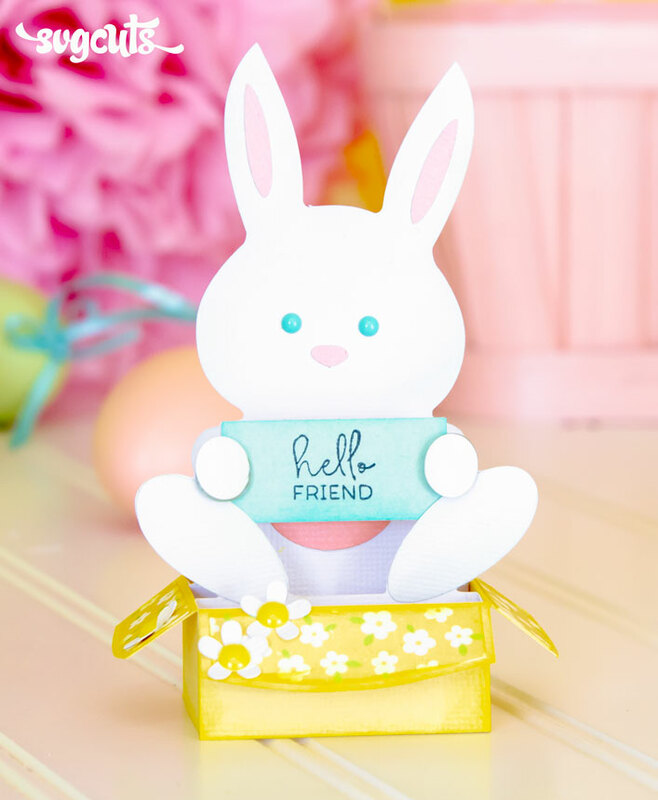 The Many Thanks Card can feature your favorite "Thanks" stamp or a small "Happy Birthday" stamp if you omit the word "Many." 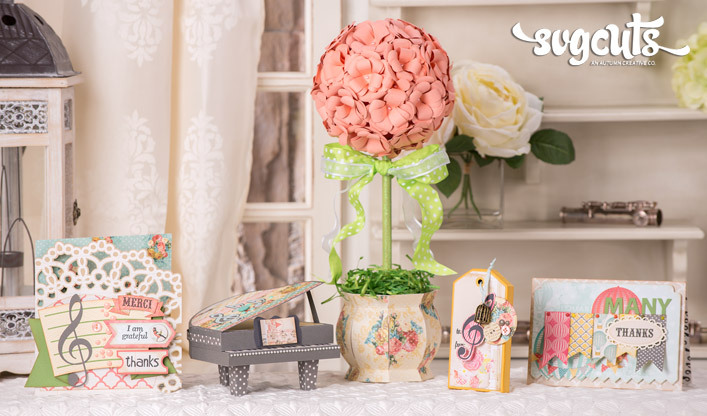 Each finished project measures as follows: Dimensional Tag - 5.5" tall, Floral Topiary - 17" tall, Grand Piano Box - 6 x 6 x 5", Many Thanks Card - 5 x 7", Treble Clef Card - 6.8 x 7". SCAL2, SCAL3, ECAL, MTC, and Silhouette Studio Designer Edition. 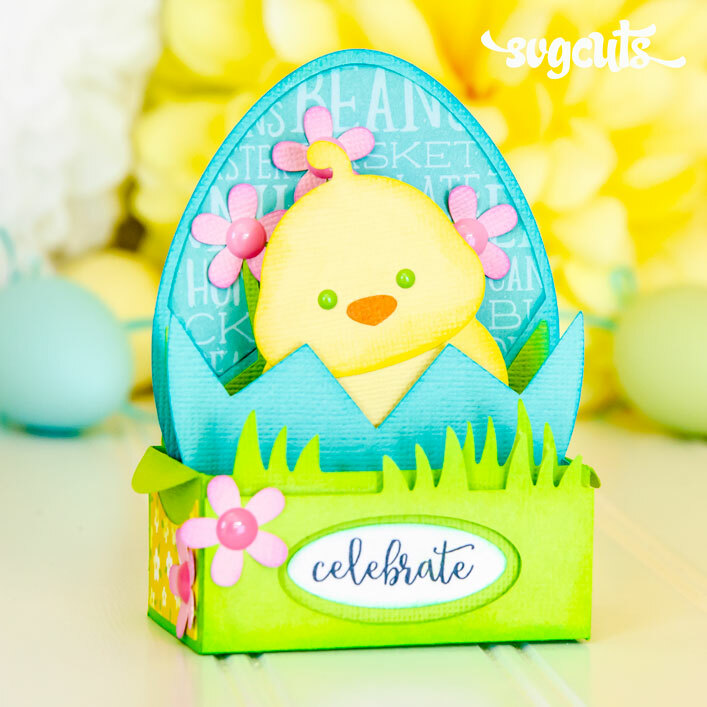 Everything can be created on any mat size, except for the cards' envelopes, which are too large to fit on a 12x6 or 8.5x11 mat, and the Grand Piano and Treble Clef Card, which contain pieces that are too large for a 12x6 mat. Find Your Wings and Fly by My Mind's Eye. Thank You stamps are all from the "Thanks a Bunch" stamp set by Hero Arts. 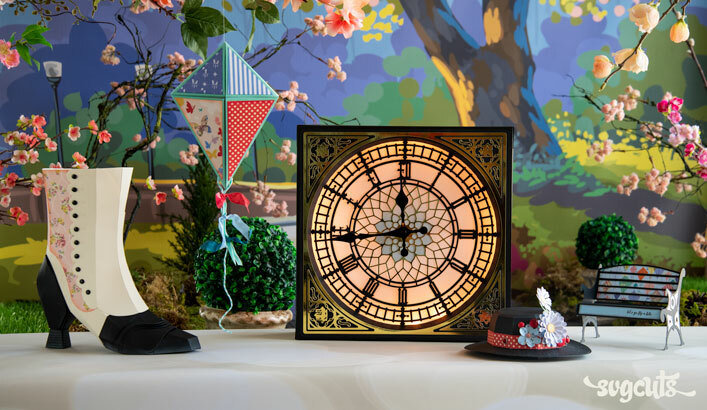 The Floral Topiary uses nine sheets of cardstock for the flowers, one five-inch white styrofoam ball spray-painted to match the color of the flowers, 32 long sewing pins to secure the flowers, a foot-long 7/16" (or similar) dowel, painted any color, a block of florist's foam (2.6 x 3.5 x 3.5 works well), a handful of pebbles or glass stones, 1.5 feet of wire-edged ribbon and craft grass or moss.